Who are you? I’m an artist working from a studio in Margate. Why Margate? The combination of urban and seaside appeals to me. I like the fact that Margate is a little rough around the edges, that it hasn’t been done up to within an inch of its life ….you feel there is an adventure to be had. If you were an animal, what would you be? Whatever the opposite of a lemming is, with a bit of cheeky monkey thrown in! What has been your greatest achievement to date? Being asked by the Queen to make the banner for the Royal barge for the diamond Jubilee. Object of desire for the studio? I am desperate for a plasma-cutting machine! Slices through metal like butter I am told! Failing that a hot tub and fully stocked cocktail bar. Who are your heroes? Steinbeck, William Forsythe, Goya, El Greco, Thomas Heatherwick, Iris Van Herpen, Marcel Wanders, Victor and Rolfe, Velasquez, Dubuffet, Frank Gehry, Todd Oldham, Peter Doig, Sigmar Polke. If you could collaborate with any artist past or present who would it be and why? I have always been fascinated by the cast bronze sculptures produced in Ife West Africa between the 11th and 15th centuries. Heads and masks of extraordinary beauty and sensitivity. Much mystery surrounds these sublime artworks, the artists anonymous. So I would go to medieval Ife, and witness the talent of the artists in action. Then I would ask politely in Yoruba if I could collaborate. What is your greatest source of inspiration? I am inspired by beauty in mundane objects. Looking at something familiar in a new light. It might be the arrangement of some cans in a supermarket; the pattern on a tread of a tyre or chewing gum blobs on the pavement. What sort of renovations have you had to carry out in order to make the building work for you? I wanted to use the studio primarily for making sculptures and not as storage. I bought three huge shipping containers, stacked them on top of each other and in went all my ‘stuff’. I removed the existing strip lighting and added the 30’s industrial lights, which I found in New York. They were from an old tank factory and now they are up they look very much like part of the original furniture. My mate Tim Baines built a special insulated room above the office for my limited edition prints. He made special cupboards with little heaters to keep the temperature constant. Best and worst thing about setting up the studio here in Margate? Best thing: the building and the location. A beautiful Victorian goods shed part of the original Margate station, on an industrial estate walking distance from the sea. Worst thing: navigating the huge potholes to get there! What do you collect? Art books, buttons, silver cutlery, voodoo flags, pearly king and queen dolls, miniature shell ladies, interesting textiles, Mickey mouse’s. First Margate memory? When I was eight – looking at the little shell ladies for sale in the souvenir shops on the sea front. If you could change one thing about the building what would it be? Under floor heating. My God its cold in winter! If you could hold an exhibition in any building in Thanet which building and why? Van Goghs old house in Ramsgate so I could channel the spirit of ‘Starry Night’. What would you do if you were mayor for a day? I’d be a time travelling Mayor. Would take everyone in Margate who wanted to come on the specially converted Time traveller Loop bus. First stop would be 1758 to see Margate in all its Georgian pomp, then fast forward to 1850 Victorian Margate and a dip in the sea via the bathing machines. Finally, we would top off the day with a spin on the waltzers in Dreamland 1976. What couldn’t you live without? My children Isaac and Rose and husband Ricky. Best advice you’ve been given? Trust your instincts. What are your goals for 2013? Be happy. 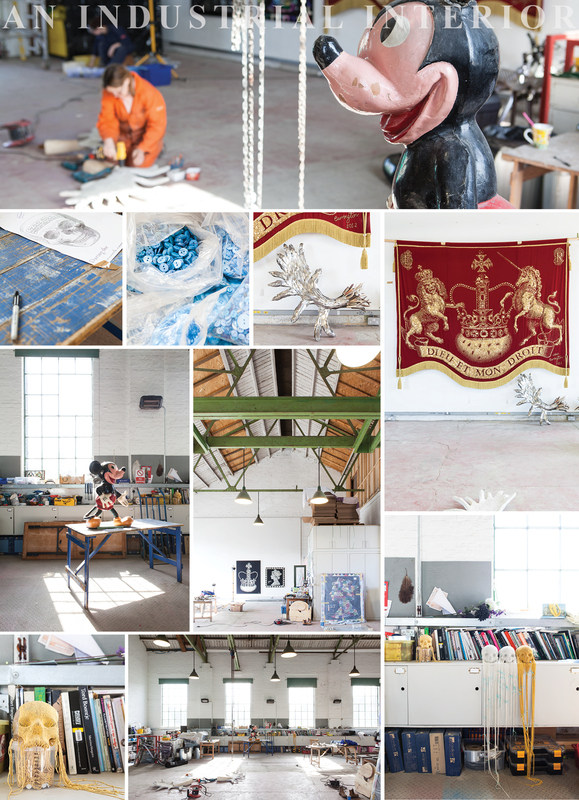 ROUND-UP: Ann Carrington’s Studio is hidden away on an industrial estate in Margate. 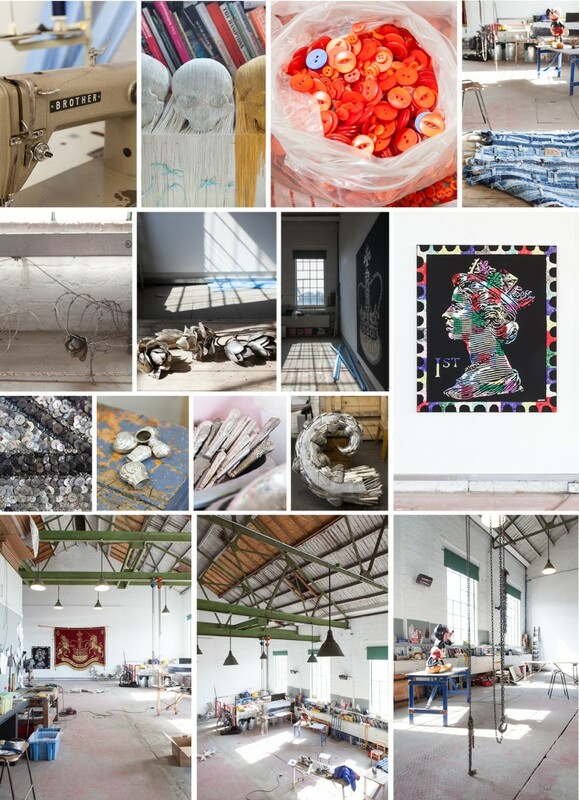 Outside unassuming in the midst of Scrap metal & mechanics, inside the imposing industrial structure of the studio is overwhelming, but it is a white-walled, clean, bright, creative haven for Ann. With One vast wall of windows, high ceilings, exposed steel beams, this light filled industrial space gives Ann optimum room to work & display incredible large-scale pieces, textiles and sculpture. RECOMMENDATIONS: UpDown Gallery www.updowngallery.co.uk/ Ann’s favourite gallery. A beautiful space showing the very best of contemporary art.